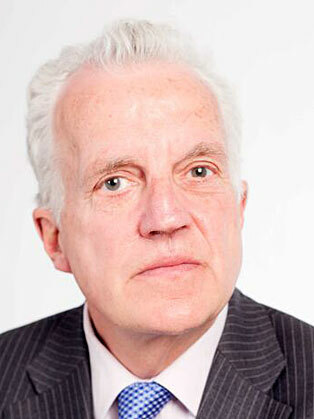 Christian Wolmar is an award winning writer and broadcaster specialising in transport and is the author of a series of books on railway history covering subjects such as the London Underground, the rise of Britain’s railways and the Transsiberian. He has Powerpoint presentations on all his books. He can also speak on his political campaign when he campaigned to get the Labour nomination for the London mayoral election 2016. Despite getting surprising his rivals by getting on the shortlist and garnering 5,000 votes, he lost out but is happy to give a speech on how a non politician like him can mount a campaign and he will included both its best – and worst – moments. Many of his ideas ended up being part of his rivals’ manifestos. Among his various TV experiences was an appearance as the captain of the Warwick team of graduates in the 2011 Christmas University Challenge, which reached the final of the competition. Christian is acknowledged as one of the UK’s leading commentators on transport matters. He broadcasts frequently on radio and TV and is a regular pundit on the national news bulletins of terrestrial channels and Sky, as well as having appeared on virtually every radio news programme from World at One and the World Tonight to Radio One’s NewsBeat and LBC. Among his TV appearances, he has featured on Coast, Julia Bradbury’s Railway Walks and the railway programmes presented by Ian Hislop and Michael Portillo. On radio, he has frequently appeared on Today as well as other news programmes such World at One and World Tonight, He has made several radio documentaries, including a Radio 4 special on the Broadwater Farm estate in Tottenham, 20 years after the riot. His journalist career included nearly a decade on The Independent when he was appointed transport correspondent in 1992. He has also covered many other social policy issues and has written on a wide range of subjects, from cricket to the Private Finance Initiative, the abuse scandal in children’s homes to the poll tax. Christian now divides his time between journalism, media appearances and writing books. He writes regularly for a wide variety of publications including newspapers such as The Times and The Guardian – he has written for every national newspaper except the Star – and numerous magazines, such as The Oldie and Public Finance. He has had a fortnightly column in Rail since 1994 and has had regular columns in a wide variety of magazines. Christian undertakes consultancy and advisory work for organisations seeking to understand the workings of the rail industry. Christian both speaks frequently at conferences and seminars, as well as chairing them. He frequently gives talks regularly to railway societies and is also available for after dinner speaking on his favourite topics, the London Underground and the railways. He speaks regularly at conferences in Europe and has twice travelled to Australia to address conferences. He is a past member of the board of Cycling England and of London Cycling Campaign and cycles around 70 miles per week as he uses his bicycle as his principal means of transport around London.